A shell script can be executed in Mac OS X using the Software Distribution feature of Parallels Mac Management for SCCM. 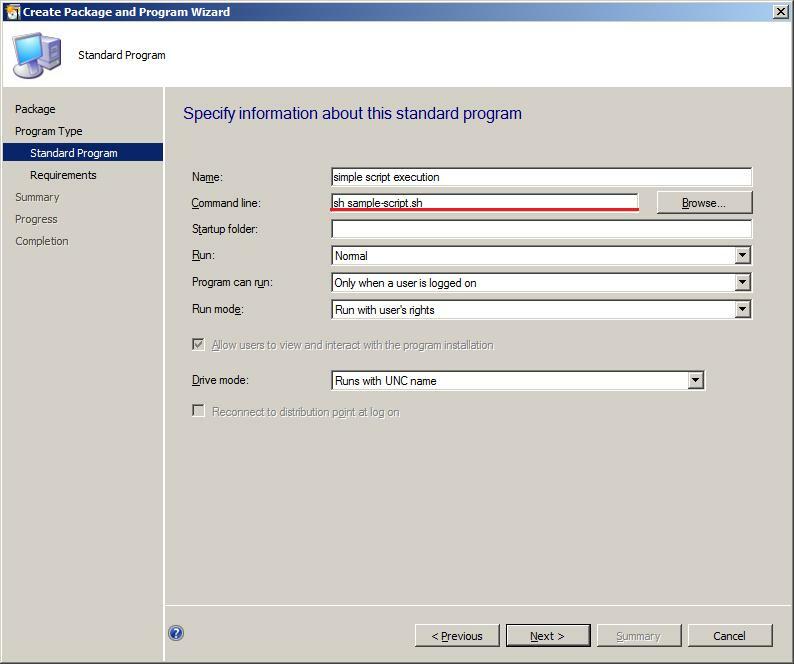 Detailed instruction about using the Software Distribution feature can be found in the Software Distribution section of the Parallels Mac Management for Microsoft SCCM 2012 administrator’s guides. 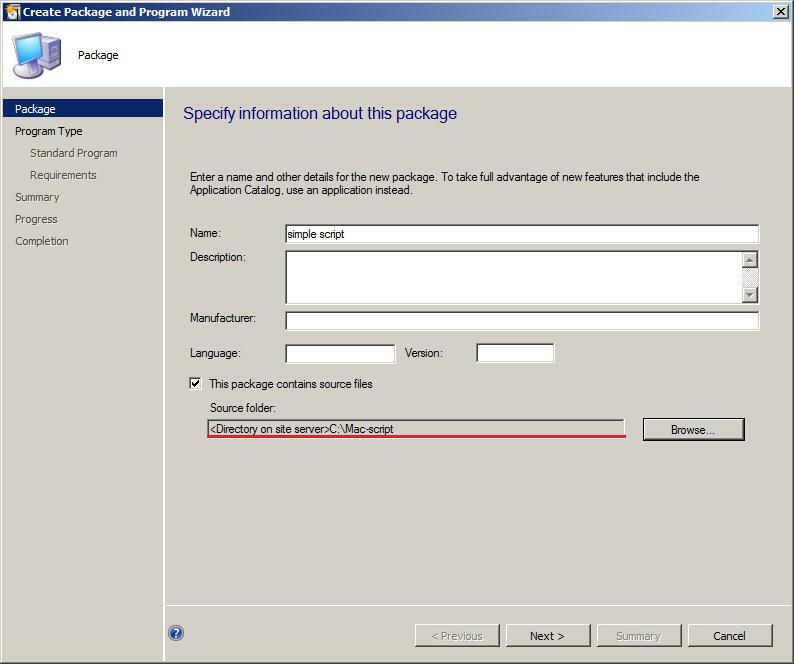 Create a script file according to your needs and copy it to a directory on a Configuration Manager site server.